Inspired by a love of flying historic aircrafts, watches and all things mechanical, Bremont’s timepieces have been tested beyond the normal call of duty. Immensely precise, reliable and durable, Bremont watches are hand-built in limited numbers. Each timepiece is designed to appeal to those who share Bremont's passion for, and appreciation of the innovation and mastery behind watchmaking. The Jaguar MKII White integrates high performance and precision with impeccable style. Featuring a 43mm stainless steel Bremont Trip-Tick® construction case, a fixed bezel, and a stunning white dial. Bremont and Jaguar continue their relationship following an overwhelming response to the creation of six Bremont chronometers which complement each of the six ‘continuation’ lightweight E-Type sports racing cars currently being built by Jaguar. The new range of watches are dedicated to the road-going Jaguar E-Type which at its 1961 launch was not only the fastest production car in the world but, according to Enzo Ferrari, the most beautiful. Other features include -Calibre 13 ¼''' BE-50AE automatic movement. 42 hour power reserve. Complications - Chronograph, Date, sweeping seconds hand. Domed anti-reflective scratch resistant sapphire crystal glass. Case back - Stainless steel with integrated flat crystal. 100 metres water resistant. C.O. S.C chronometer tested. 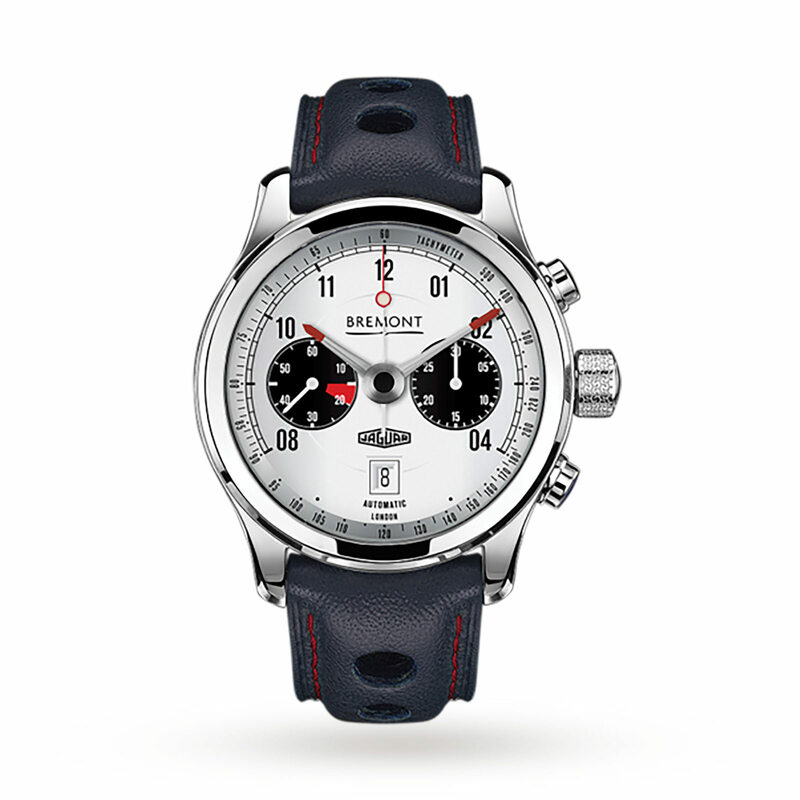 Discover the full Bremont collection.